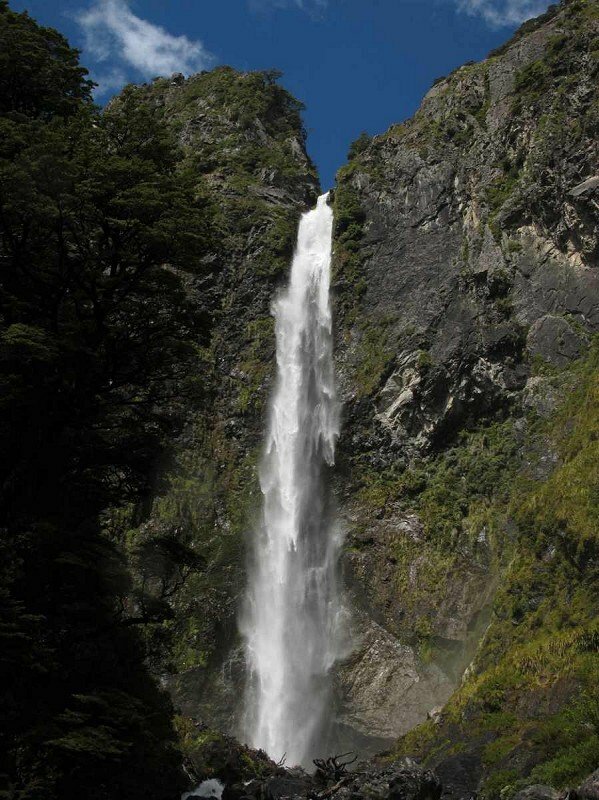 LOCATION: Turn onto Punchbowl Road, at West Coast end of Village, 500m from the Visitor Centre. At the end of this short gravel road is a car-park, and a signpost here points the way. 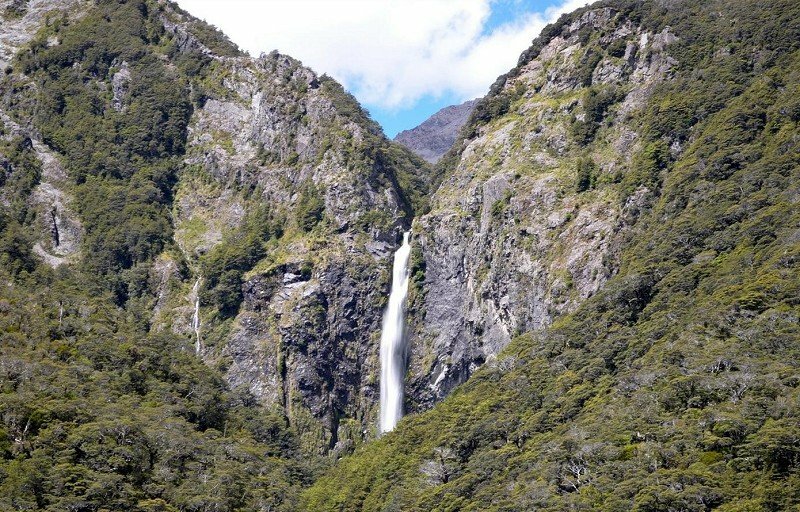 This spectacular waterfall (131m) can be seen from the main road but a walk to the base of the waterfall is well worth doing in any weather. 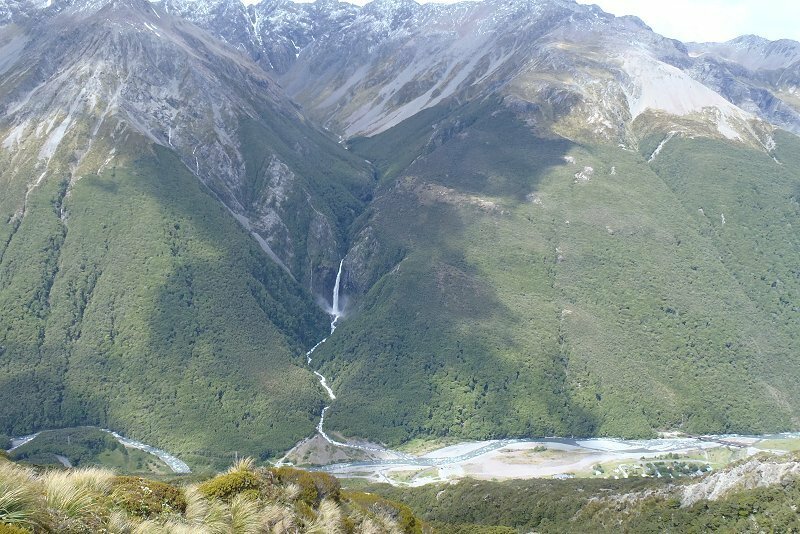 The track crosses the Bealey River and Punchbowl creek with the aid of two footbridges before zigzagging up steps (240 of them) through mountain beech forest to a viewing area just below the falls.